Clarkdale stands out among Arizona mining towns because it was a planned community owned by the United Verde Copper Co. It's named for mining baron William Andrews Clark who bought United Verde not long after he arrived in Jerome in 1888. Clark moved the smelter from Jerome to a site where Bitter Creek flows into the Verde River and built the town named for him nearby. 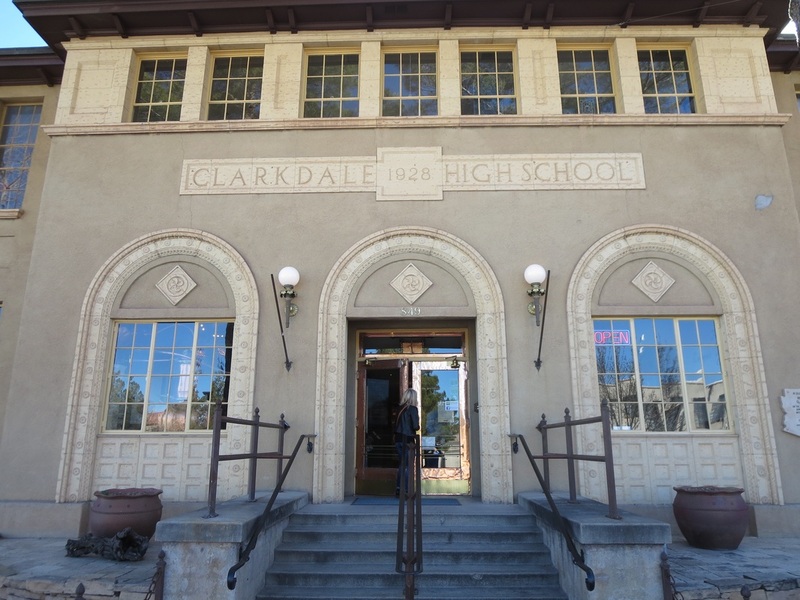 The company town included a business block, built in 1914, that is largely intact on Main Street in Upper Clarkdale. Lower Clarkdale and Patio Town near the Verde River had housing for workers while Upper Clarkdale housed United Verde's white-collar officials. United Verde built the Verde Valley Country Club in the early 1920s with a 9-hole golf course on nearby Peck's Lake. The course closed in October 1991 but the dilapidated clubhouse remains. ​The mines and smelter closed in 1953 and it took Clarkdale several decades to recover from that economic collapse. The town was incorporated in 1957. A cement plant, built for construction of the Glen Canyon Dam, contributes jobs and dust for Clarkdale. The Yavapai-Apache Nation has a small community adjacent to Clarkdale. annual visitors to the Sinagua ruins on above the Verde River. 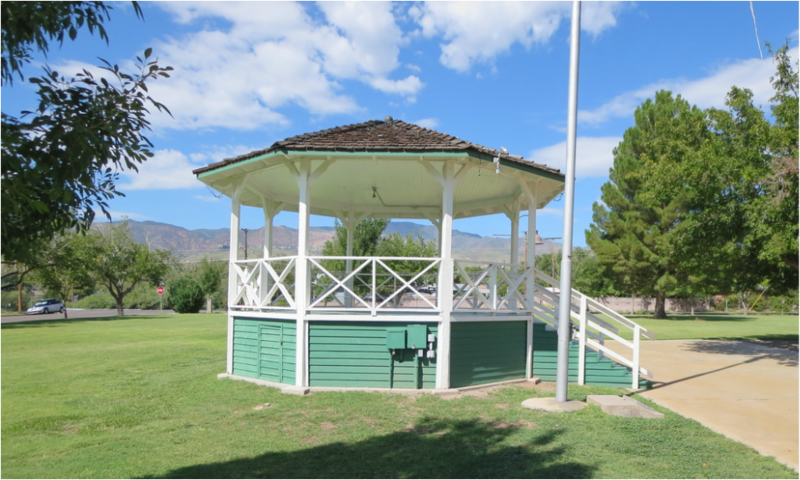 A gazebo that serves as a bandstand and a wedding site is the focal point of the town park on Main Street in Upper Clarkdale. 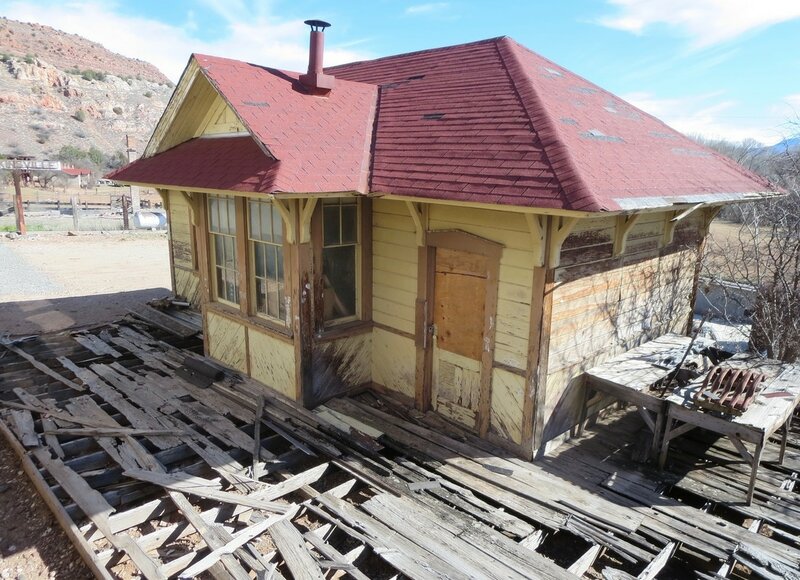 The Verde Canyon Railroad, a scenic, four-hour trip to Perkinsville, has been a boost to the Clarkdale economy over the past quarter century with about 90,000 passengers annually. The depot includes the John Bell Museum, highlighting train and local history. ​In recent years, Clarkdale has taken advantage of its spot on the Verde River with a boat launch for kayakers near an old power plant up river. 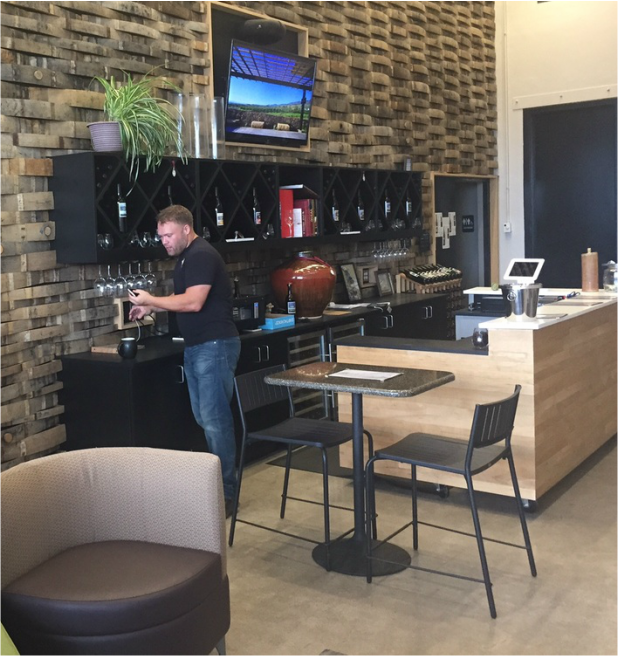 Clarkdale has also tapped into the Verde Valley's growing wine scene with tasting rooms and a viticulture program at the Yavapai College Verde Campus on Black Hills Drive. Arizona Copper Art Museum showcases the work of coppersmiths and artists, and copper artifacts in the long-closed Clarkdale High School. 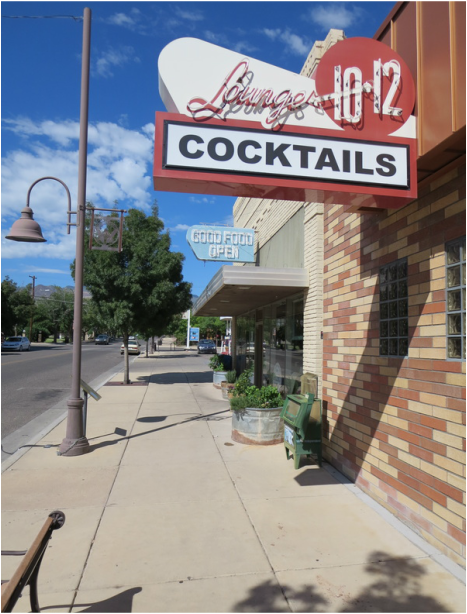 1012 Lounge is open in the town's business block. The old Miller warehouse sits below Upper Clarkdale near the smelter site. The town's first depot circa 1913. A new one was built for Verde Canyon RR. The rustic Perkinsville depot is the turnaround point for the trip. Verde Canyon Railroad on its return 20-mile run to Clarkdale. 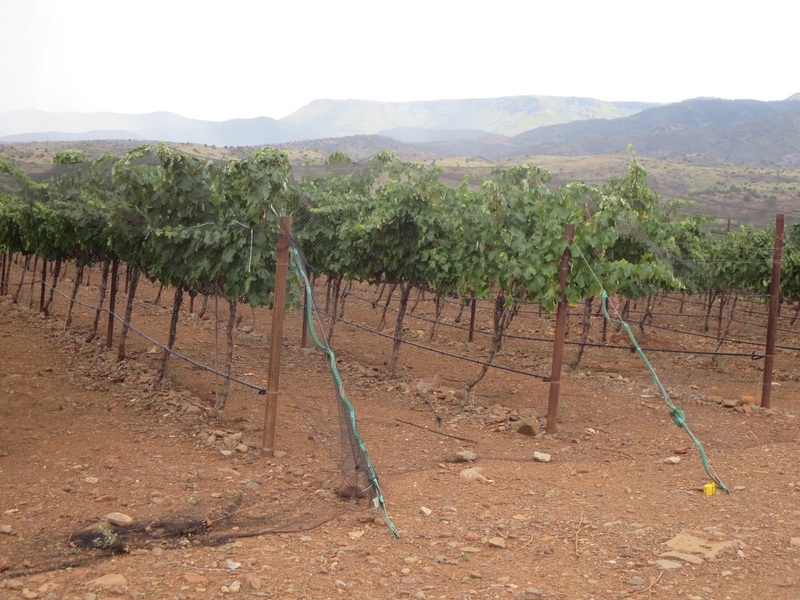 Yavapai College's Verde Campus has vineyards and a winery with a tasting room in Clarkdale as part of its viticulture program. 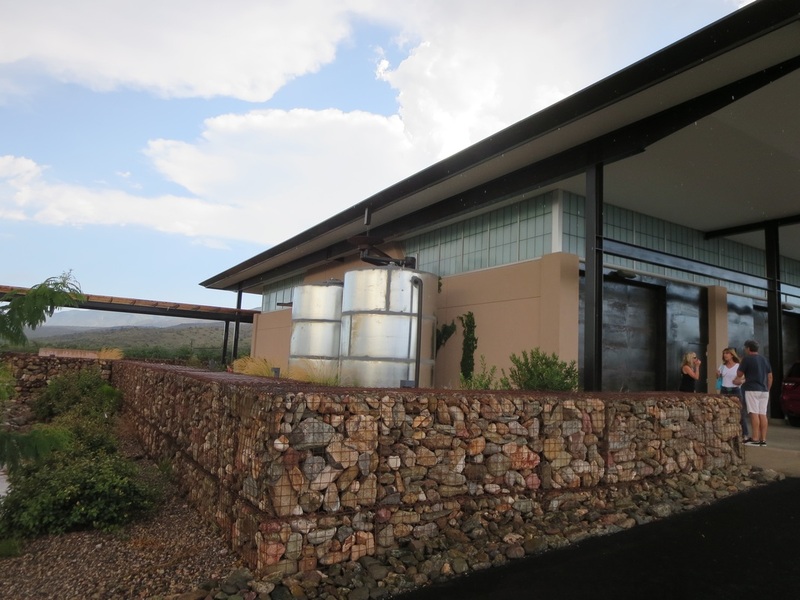 Student winemakers at Yavapai College will bottle up to 1,500 cases of wine annually at this small winery, set up in what originally was an outdoor racquetball center. The tasting room (right) is open from noon to 6 on Thursday to Sunday at 601 Black Hills Drive.